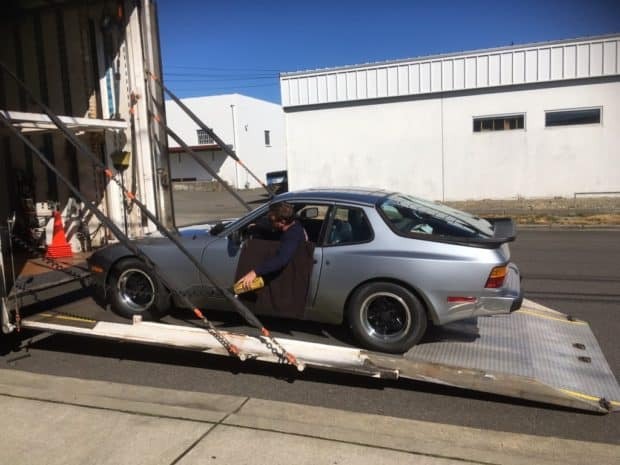 The Perfect 944 Found & Purchased on BringaTrailer.com & Safely Delivered by Intercity Lines. 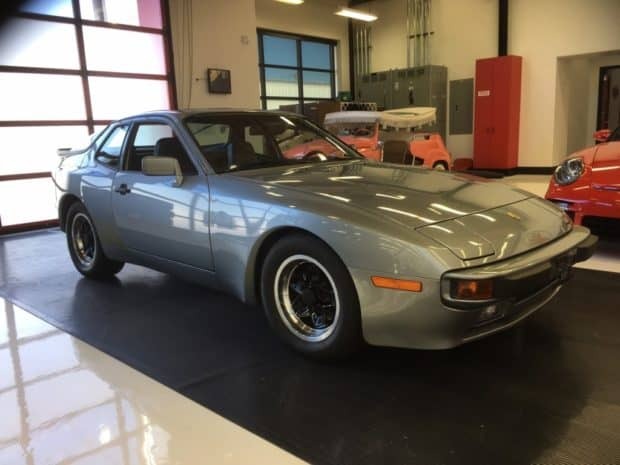 This just in from the buyer of the 3,600-mile 1983 Porsche 944 that was purchased via Bring a Trailer Auction this past August (link). Intercity had the best service and price from among several companies I called. Getting a car moved anywhere in August is problematic because all the transporters, it seems, are in Monterey. The car was retrieved shortly after that and got here to the Pacific NW on the 9th of September. The truck driver was the same one who picked up the car, and he was very careful and respectful in his delivery. In person the 944 looks even better than it appears in photos. That’s a rare event in itself. I couldn’t believe it when I won this special car last month. While looking somewhat leisurely for a 944, I found this one halfway through the auction, and its story immediately captured me. Time, distance and work prevented a timely visit, so I called a friend in Ohio to see if he had any contacts outside Detroit. He called another guy, but that person couldn’t accommodate due to his and the seller’s schedule. So, he called another Porsche guy, ‘Joe’ in the auction comments, who very kindly went to see the car the morning of the final auction day. His report was glowing. I was all in. Some emails were exchanged with the seller towards the end while trying to arrange the visit. Since the purchase, we’ve had many phone and email exchanges. And, as Bogart said to Captain Renault at the end of Casablanca, it looks like the beginning of a beautiful friendship. He obviously loved the car and was very thorough and meticulous in its recommissioning. Intercity had the best service and price from among several companies I called. Getting a car moved anywhere in August is problematic because all the transporters, it seems, are in Monterey. The car was retrieved shortly after that and got here to the Pacific NW on the 9th of September. The truck driver was the same one who picked up the car, and he was very careful and respectful in his delivery. In person, the 944 looks even better than it appears in photos. That’s a rare event in itself. The paint color is listed on the inner fender as Sapphire Blau, and it is a wonderful blend of silver and blue. From my research, that color and the brown berber interior are a combination that was only available in 1983. After putting on the license plates I took it for a spirited drive. This formerly 911-only snob has been deeply impressed. I really enjoy the Bring a Trailer auctions and tell everyone who’ll listen that they should check them out. Thanks for helping me find this car.